SF readers have come to expect the universe from Hugo and Nebula Award-winning author Gregory Benford: fascinating multilayered characters, thrilling plots, and mind-bending scientific speculations firmly based in cutting-edge technological fact. 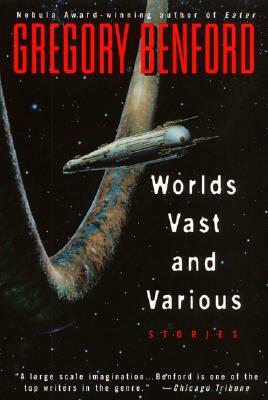 When it comes to literate, human, unassailably possible science fiction, Benford is in a class by himself--as he proves once again in a stunning array of tales that have never been collected in one volume before. These are but a few of the various worlds the respected astrophysicist and SF luminary now transports us to in ships constructed of evocative words and ingenious ideas. Astonishing, provocative, and intellectually stimulating, each selection is a glittering star in the vast cosmos of Gregory Benford's unparalleled imagination.